Longtime Apple watchers know that the fall season usually brings a bountiful harvest of new and updated products from the company. Indeed, just two short weeks in September have ushered in new iPhones, iOS 7, a new version of iTunes, a modest bump to the iMac line, a nice update to the Apple TV software, and several minor changes to the company’s product lineup including iPhone docks and even new iPod colors. But we didn’t see lots of stuff in September that many had hoped for, and the rumor mill is churning away (as usual) about all the things Apple supposedly still has up its sleeve for the fall. Listen to Macworld editors discuss what they expect to see at the upcoming Apple event. What else should we expect from Apple in 2013? Here’s a look at some of the popular predictions out there, along with just how likely we think they are to appear. It’s been a year since Apple introduced a brand-new full-size iPad. (Granted, that was only six months after the previous model.) That’s been enough time for the company’s competitors to show off their own new gear, and Microsoft, Google, and Amazon have all obliged. Now it’s time for Apple to weigh in. If the supply-chain leaks are as solid here as they were with the iPhone, bet on a full-size iPad that has taken on much of the iPad mini’s styling, with a thinner bezel on the longer sides and perhaps even different back colors. (Space Gray, anyone?) Also, some version of Apple’s speedy new 64-bit A7 chip is likely to make its way inside, along with some camera improvements—and it wouldn’t be entirely crazy to see the Touch ID fingerprint scanner, which debuted with the iPhone 5s, make an appearance. (We’re already spoiled, as unlocking our current iPads by tapping out a passcode feels like a chore.) Really, only one question remains: Will it come in gold? 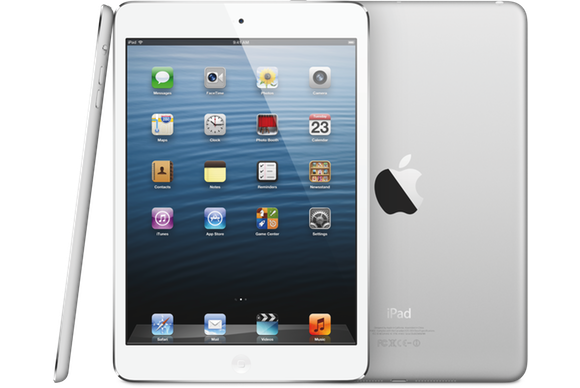 The iPad mini has, by all indications, been a popular product for Cupertino, and we’ve no reason to think that the company won’t be rolling out a new version of the diminutive tablet just in time for the holiday shopping season. One big head-scratcher, though, is whether or not the 7.9-incher will boast a Retina display. Reasons against? A high-resolution display costs more to manufacture, and it requires a lot of horsepower to drive it—and those horses have a healthy appetite for battery power. But consider the reasons for: The iPad mini is the last iOS device in Apple’s lineup without a Retina display, and iOS 7 practically cries out for such a high-resolution display. 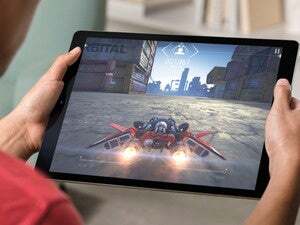 As for performance and power, we suspect that, as with the current iPad lineup, a new iPad mini will use the processor found in the previous year’s full-size iPad. That would mean an iPad mini with Apple’s A6X, a processor that currently handles a 9.7-inch Retina display with aplomb. (But it’s not out of the question for Apple to use a version of the A7 processor found in the iPhone 5s, which could probably handle driving an iPad-size Retina display.) The other wild card here: Might the new iPad mini feature a plastic case inspired by the iPhone 5c? Chances: A new iPad mini seems a sure thing, as does a Space Gray option, but we put the odds of a Retina display at 60/40 (in favor). As for a plastic case, we doubt Apple would want to draw even more comparisons to Google’s less expensive and plastic-bodied Nexus 7 tablet. If you’d asked us a few weeks ago whether we expected new iPod models this fall, we wouldn’t have hesitated to pronounce it a done deal. After all, it’s a rare September or October that doesn’t see at least one new iPod, if not updates to all three of the main iPod models: touch, nano, and shuffle. 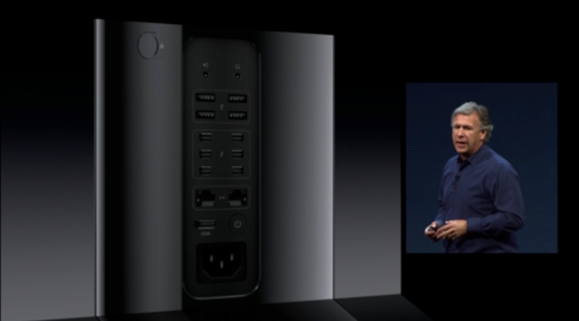 But then Apple quietly added a new Space Gray color to each of those models earlier this month. It seems unlikely that Apple would make such a cosmetic change and then turn around and announce entirely new models a month later. 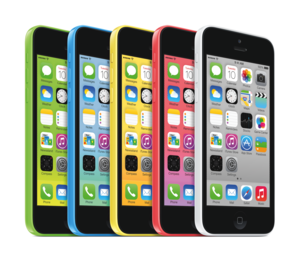 However, what if Apple were to announce that the iPod touch is (finally) available in a 128GB version? We’ve long (on multiple occasions) predicted that the iPod classic will go the way of the dodo once a 128GB iPod touch is available. Maybe this is the year? We’re keeping our fingers crossed, though we also doubt Apple would give the iPod touch more storage than the company’s flagship iPhone. 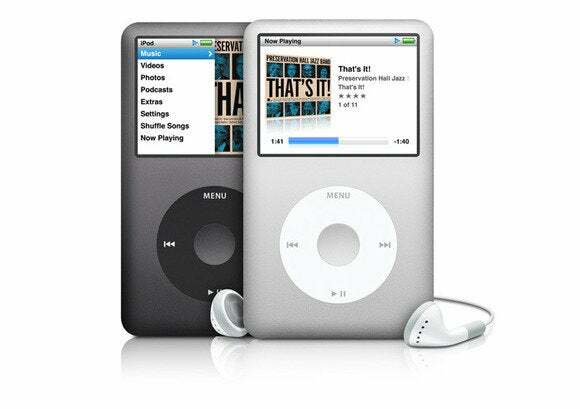 Then again, Apple could really surprise us by updating the iPod classic. I mean, what music pack rat wouldn’t like a 250GB Space Gray iPod classic with a Multi-Touch display and…oh, who are we kidding? Chances: We rate the likelihood of more updates to the iPod line at a slim 20 percent, with much of that probability resting on a larger-capacity iPod touch. The chances of a new iPod classic? Next to nil. Apple has said that Mavericks (OS X 10.9) is due this fall, and we have no reason to doubt it, despite rumors that iOS 7’s development has been the Paul paid by robbing OS X’s Peter. Indeed, reports from developers indicate that the beta versions of Mavericks are moving along nicely. As with iOS 7, don’t expect much to change since 10.9’s announcement at June’s Worldwide Developers Conference, though Apple could, as always, be holding something in reserve. 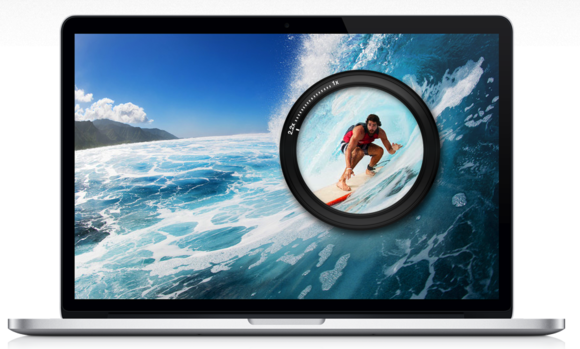 To us, the bigger question is what Mavericks is going to cost. Lion was $30, but Mountain Lion was just $20. Will this year’s OS X update drop to $10? Or perhaps even be a free download? Or is $20 the new going rate for a world-class desktop OS? It shouldn’t be too long before we find out. Chances: 10.9 is obviously a sure thing, though never rule out the possibility of a delay until late in the “fall.” Remember the delay in Leopard several years ago? And the price? We say $20 or free, and we’re still debating with each other. Another one of the marquee announcements at WWDC, this long-awaited revamp of the company’s desktop powerhouse is scheduled to arrive “this fall.” Apple has been running ads in movie theaters, so it clearly expects the computer to make its appearance before long—even if a professional-level workstation isn’t likely to be this year’s hot holiday gift. Chances: Though little has been heard about the Mac Pro since the revamp was first announced in June, it’s probably on track. Another safe bet. The MacBook Air got a nice refresh back in June at WWDC, so don’t expect another revision to Apple’s ultralight laptops before next year rolls around. The MacBook Pro, however, is a different story. The current design debuted at WWDC 2012, and got only a bump in February of this year. So we wouldn’t be surprised to see a refresh to the MacBook Pro lineup, especially if the company is finally ready to retire the older non-Retina models. That said, Apple tends to focus on consumer-level product updates at this time of year, so it’s possible we’ll see nothing at all. It’s been a year since the latest Mac mini models were released, and that update offered mainly minor changes (USB 3.0, faster integrated graphics, and the availability of a quad-core Core i7 processor). Since then, Apple has bumped the MacBook Air line with Intel’s new Haswell processors, which offer better performance, while using lower power, than the Core processors the Mac mini currently uses. Since the Mac mini tends to follow closely behind Apple’s notebook lines when it comes to processor updates, we suspect that it’s time for the mini to jump on the Haswell train. Chances: Apple won’t dedicate much—if any—time to the Mac mini at its next media event, but we’re pretty confident the diminutive Mac will get an update soon. How confident? 70 percent. Speaking of getting long in the tooth, Apple’s stable of in-house iOS apps hasn’t seen major updates in quite a while. iPhoto for iOS got its last major revision a year ago, with only a minor tweak for iOS 7 in September. The iOS versions of iMovie and GarageBand haven’t seen much action recently, either. In fact, in the rush to get iOS 7 out, it appears Apple (embarrassingly) didn’t even have time to update the icons of these apps. Many are in dire need of more than just icon changes, though. Of the iWork apps, only Numbers received a compatibility update for iOS 7, while Pages and Keynote have sat quietly in the App Store since March. And now that Apple is giving away its iLife and iWork apps with new iOS devices, there’s more pressure to update. Heck, while we’re talking updates, it’s high time for Apple to update Find My Friends to get rid of the that’s-the-reason-we-got-rid-of-Scott-Forstall faux leather stitching, and Find My iPhone and Remote could also use iOS 7 makeovers. The good news is that, if the new icons that briefly popped up in an iOS 7 Settings menu are any indication, we could soon be getting just such updates. Chances: We can’t say that all of Apple’s apps will get updates, but it’s a sure thing that at least some of them will. And maybe this will even be the year for an iPad version of the Apple Store app. (Just kidding. That’ll never happen). The current Apple TV receiver debuted way back in March 2012—and even that version simply added 1080p capability to the second-generation model, which debuted three years ago, in September 2010. Of course, both Apple TVs still work very well, and the company has regularly updated them with new software features: The aforementioned Apple TV software 6.0, just released, added iTunes Radio and a number of other features; numerous third-party content partners have also found their way onto the Apple TV home screen over the past couple years (including two late this week). Still, with the Apple TV’s biggest competitors adding features and lowering prices, and the iOS and iTunes Store ecosystems evolving rapidly, an update to the Apple TV’s hardware seems a near-inevitability. A faster processor and some additional onboard memory would significantly enhance the Apple TV’s potential, and a software update might (finally) offer the option of third-party apps. (Heck, even just a more-capable remote would be nice.) Or maybe the next Apple TV will turn out to be something completely different? An actual Apple TV. As in, a TV from Apple. Some people—some very stubborn, persistent people—have been predicting for years that Apple is going to debut its own TV set…any day now. And they’ve been wrong so many times that it would be easy to shrug this idea off as just as crazy as ever. Except that when you take into account comments from Apple leadership over the past couple of years, along with rumored content negotiations with movie studios and TV networks, Apple does seem to be doing something more with television than updating the current Apple TV. Maybe it’s an actual TV, maybe it’s a set-top box that takes the place of your cable box, who knows? The only thing that’s certain is that these rumors don’t sound quite as crazy as they did a few years back. Plus, it almost feels like we’re playing Apple Rumor Russian Roulette here, and you can dodge the bullet for only so long. Chances: Let’s say 20 percent. For now. Ummm, no. This one seems to be 2013’s hot Apple rumor, but it won’t be Holiday 2013’s hot Apple product. There’s a slight chance—a really teeny, tiny chance—that Apple might toss out a tease about this being “an interesting market,” but releasing an actual product? Even the people perpetually predicting an Apple TV aren’t sticking their necks out on this one. Chances: Sorry, what part of “Ummm, no” wasn’t clear? Chances you will ever see that lead in a news article: What’s the phrase about a snowball’s chance in hell?